Synopsis : Eita enters high school aiming for the National University School of Medicine. Because of his parents' divorce—and his goal—he shuns anything to do with romance or love. One day, Masuzu, the school beauty with the silver hair who's just returned to the country, enters his life in a most unexpected way. Chiwa, his childhood friend since elementary school, will not let this go without a fight. The manga did that weird "end one series, start another" thing I think. 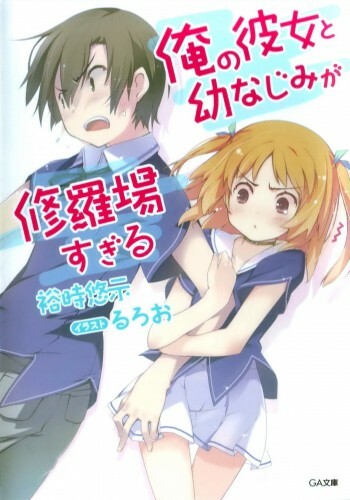 But the light novel is ongoing. Yeah, this is one that I would definitely buy. Re-watching the anime, and I really want this licensed. The girls are so cute. This series is a really good romcom imo. The anime was good and so was the manga, it's be awesome if the series was translated, here's hoping the authors releases of volumes becomes more consistent so this title becomes more appealing for translation.